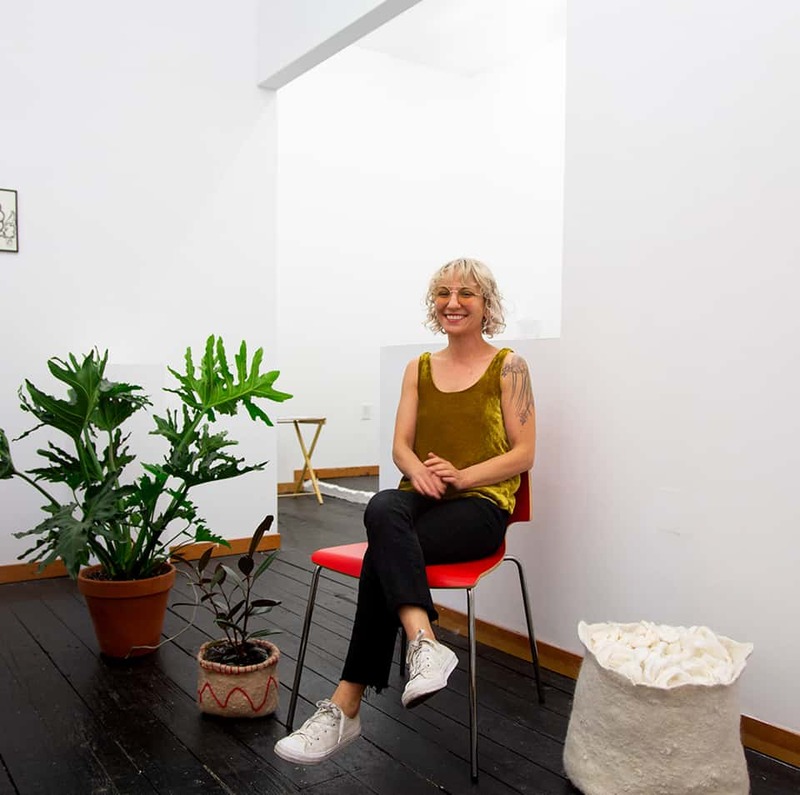 Emily Endo Nachison is a multi-disciplinary artist and teacher residing in Joshua Tree, CA and Portland, OR. Nachisonhas been working in the textile field for over 15 years as an educator, dyer, seamstress, and felt-maker. She received a BFA in Fiber from the Maryland Institute College of Art in 2006 and a MFA in Fiber from Cranbrook Academy of Art in 2010. She served as the Chair of the Fibers Department and an Assistant Professor at the Oregon College of Art and Craft from 2013-2018. Nachison has had numerous solo exhibitions and has been included in group shows internationally at venues such as the Byre (Latheronwheel, UK), the Museum of Contemporary Craft (Portland, OR), Disjecta Contemporary Art Center (Portland, OR), and New Mexico State University Art Gallery (Las Cruces, NM)). She has given lectures at institutions such as the American Craft Council (Minneapolis, MN), Portland Art Museum (Portland, OR), Cranbrook Academy of Art (Bloomfield Hills, MI), and the Rochester Institute of Technology (Rochester, NY). Her work has been featured in American Craft Magazine, Interior Design Magazine, Art Ltd. Magazine and Frontrunner Magazine.